Marcel Röthig predicted the formation of a "Jamaica coalition". Resident Representative Ukraine & Belarus Marcel Röthig gave his vision of future coalition in German Bundestag. In his opinion, Angela Merkel's center-right Christian Democratic Union (CDU) and its Bavarian sister-party the Christian Social Union (CSU) will team up with the Greens and the Free Democratic Party. "There are only two options for the coalition – the continuation of the so-called "grand coalition" of the CDU/CSU and the Social Democrats or, for the first time in our history, a coalition of four parties: the CDU/CSU, FDP and the Greens. I am 99% sure we will have exactly this coalition," he said told a round table conference in Gorshenin Institute on Tuesday, 26 September. "We call it Jamaican coalition after the party colors," Röthig joked. Röthig went on to say that Angela Merkel as a representative of the main coalition parties will remain the German Chancellor, but he acknowledged that the peak of her popularity has passed. However, he said that the positions "Jamaican coalition" parties vary greatly, so he does not exclude, for example, that the Greens may want to leave it. "The uncertainty surrounding the new German government is a bad turn for Ukraine. For Ukraine it is important that the new government was formed and started working as quickly as possible, but we will probably have to wait until Christmas," said Röthig. 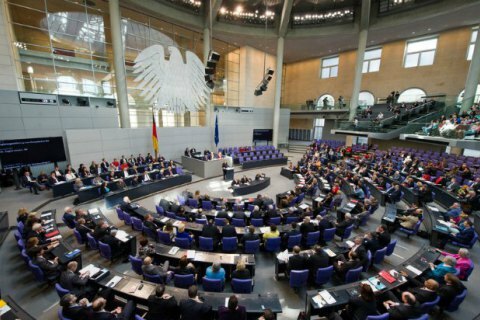 In the former German parliament, the CDU/CSU was in a coalition with the Social Democrats, who have decided to go into opposition this time.